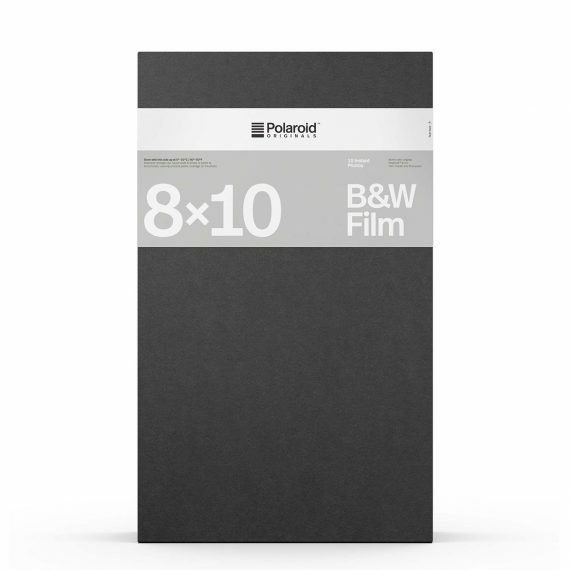 Polaroid Originals 8×10 Black and White Film | Beau Photo Supplies Inc.
Polaroid Originals 8×10 type film is bundled in a pack of 10 large format B&W photos with a glossy finish. For use with an 8×10 camera, Polaroid film holder and processor. Images begin to emerge within 5-10 minutes at 70°F (20°C). 640 ASA Film Speed ±⅓ stop. Storage Temperature 34-45°F (1-7°C). 8 x 10 inch (18 × 24cm).